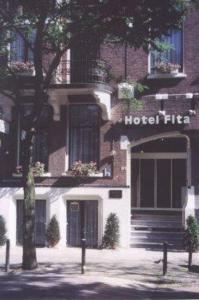 Hotel Fita, Amsterdam discount hotels and accommodation. Our hotel has 16 up to date rooms in which we can accommodate 29 persons. You will understand therefore, that we know more or less all our guests at least by their face, nationality, language and last but not least by their name! Communication, personal approach, service in every respect and giving someone the feeling that he/she feels at home in a foreign city and country is our hobby and our goal. We assure you that we will do our utmost to make your stay in Holland, Amsterdam and the Fita a pleasant and unforgettable one. View photos, room descriptions and make online reservations at Hotel Fita. Save on room prices at Hotel Fita, Amsterdam.